"This heart is made from human cells and patient-specific biological materials. In our process these materials serve as the bioinks, substances made of sugars and proteins that can be used for 3D printing of complex tissue models," said lead researcher Tal Dvir in a statement. 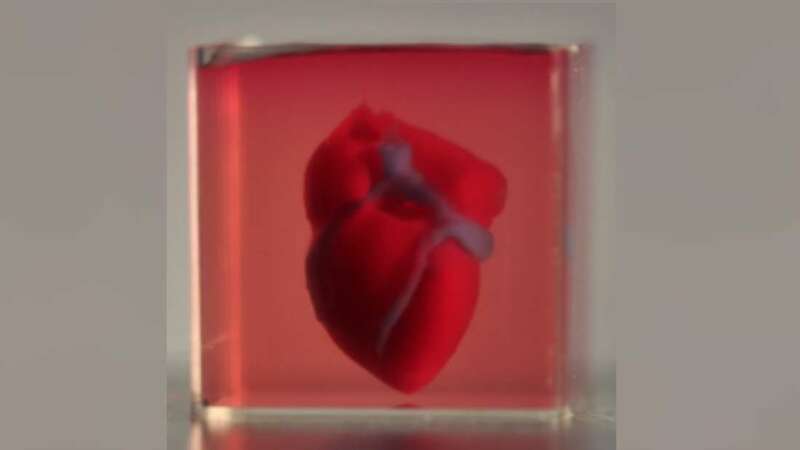 "People have managed to 3D-print the structure of a heart in the past, but not with cells or with blood vessels. Our results demonstrate the potential of our approach for engineering personalized tissue and organ replacement in the future." Describing their work in Advanced Science, the research team started by taking biopsies of fatty tissues from abdominal structures known as the omentum in both humans and pigs. The tissue's cellular materials were separated from those that weren’t and reprogrammed to become pluripotent stem cells, “master cells” able to make cells from all three body layers with the potential to produce any cell or tissue in the body. The team then made the extracellular matrix – made up of collagen and glycoproteins – into a hydrogel used as the printing “ink”. Cells were mixed with the hydrogel and then differentiated into cardiac or endothelial cells (those that line the interior surface of blood and lymphatic vessels) to create patient-specific, immune-compatible cardiac patches complete with blood vessels and, ultimately, an entire heart bioengineered from “native” patient-specific materials. "At this stage, our 3D heart is small, the size of a rabbit's heart," said Dvir. "But larger human hearts require the same technology." "The biocompatibility of engineered materials is crucial to eliminating the risk of implant rejection, which jeopardizes the success of such treatments," said Dvir. "Ideally, the biomaterial should possess the same biochemical, mechanical and topographical properties of the patient's own tissues. 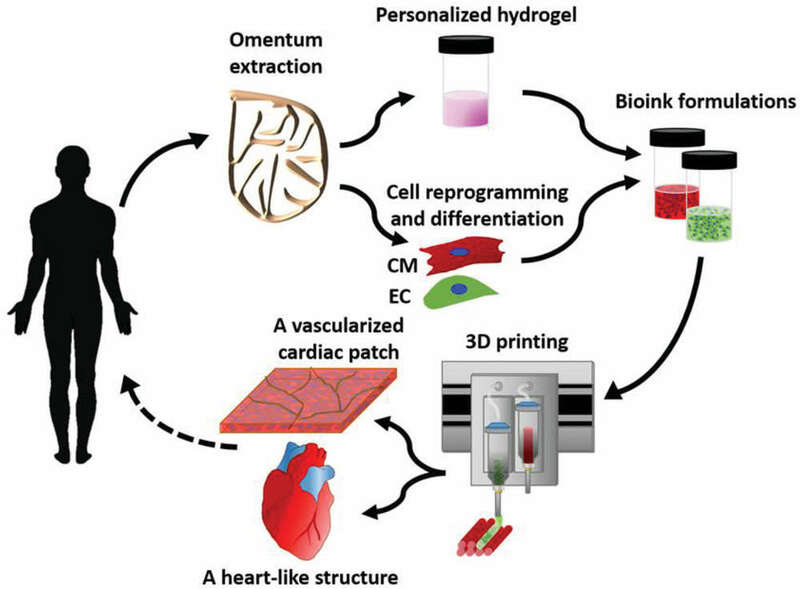 Here, we can report a simple approach to 3D-printed thick, vascularized and perfusable cardiac tissues that completely match the immunological, cellular, biochemical and anatomical properties of the patient."